East Coast north of the state of New South Wales, on the border with the state of Queensland. Sub-tropical bathed by the waters of the South Pacific, is warm and sunny all year, with mild winter. Summer days with sporadic rains; Winter is dry. Average summer: 20 º ~ 28 º C. Average winter: 10 º ~ 22 º C. Water Temperature: 24 º C summer / winter 18 º C.
Brisbane; Gold Coast Sunshine Coast; Whithsundays; Noosa Heads; Coolangatta; Tweed Heads. Do you like surfing, beaches and extreme sports? There is nothing like Byron for those who seek tranquility by the sea, sun and surf. 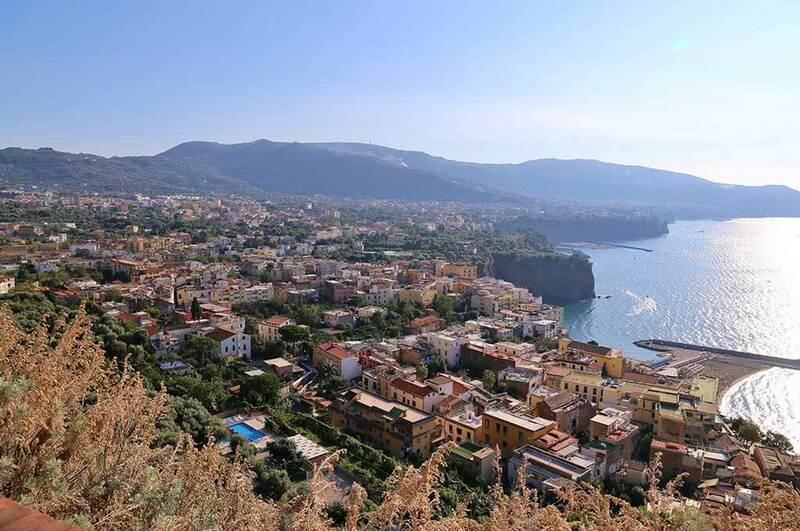 The town of 30,000 inhabitants has good waves and is therefore a very popular destination among foreigners and young Australians, including backpackers traveling along the Australian coast and students who visit the city especially during the summer holidays. Surfing is the main activity and characterizes the local life style. Lovers of this sport attend Broken Heads, a beautiful beach that remains virtually deserted. The region is also known as a hub of skydiving and a famous point for the possibility of seeing whales. There are also good options for diving such as "Julian Rocks" which is part of the newly established Cape Byron Marine Park. 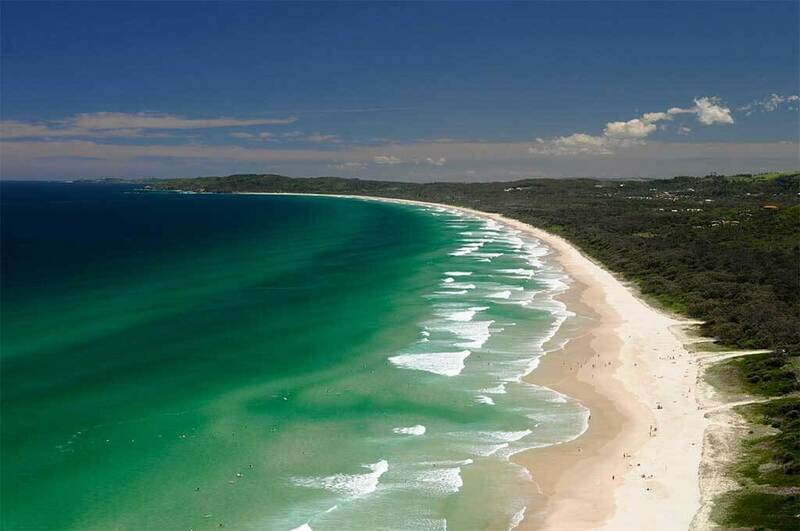 Right off the main beach is Cape Byron, "The furthest point to the east of Australia". There you will find the famous lighthouse of Byron, where the 360 ° view is magnificent. The tranquility makes the bicycle one of the most used means of transport in the city. 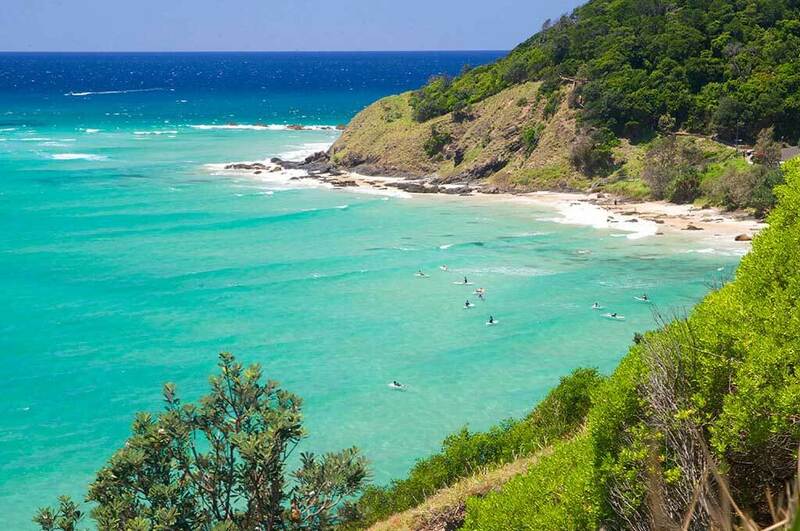 Its white sandy beaches, warm waters and tropical vegetation impress foreign students who chooses Byron Bay. The city is on the border with the state of Queensland, and about 02 hour drive from the capital, Brisbane. Well located and close to other major cities, the young Byron Bay is a great option to visit or study English in the midst of nature and fun.